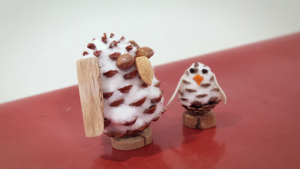 Do you have the GLUING power to make an Owl ? 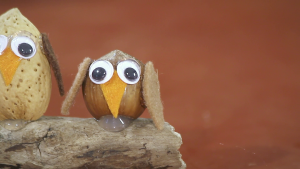 Make an Owl and Win £500 of products from our website – glue guns, glue sticks or glue dots – for your School. You can use any materials and the owl can be any shape or size. It can be a simple or complex design, can be one owl, pair of owls, parliament (group) of owls or a clutch of young owls. The aim of the competition is to be creative and have fun gluing different materials. Get the whole class involved or one individual, it’s all about winning prizes for your school and discovering new gluing ideas. Be creative and let your imagination run wild! Design and make your owl. Take pictures (several, different angles) of the owl that you have made and upload and complete the entry form. Please describe how you made your owl and materials used. Every entry we receive we will make a donation to the Owl Sanctuary, the aim is to raise £1,000 for the sanctuary. The winning schools will be notified by email. The winning prize is £500 of products from our website (your choice) , we have a great selection of glue guns, glue sticks and glue dots. We also have 20 runners-up prizes of Tec 305-12 Crafters Kits. We have invited Andy Bilsborough from Turbary Woods Owl Sanctuary to be our guest judge. Andy and his team will select the winning owl and also the 20 runners-up. Winners will be notified by email Monday 6th July 2015. This competition is open to the Educational sectors, schools, colleges, universities and academies within the UK. Details and images of the winning owls may be used on our website, Facebook or Twitter pages. Judge’s decision will be final!